No, honestly, this isn't abstract art! At least not on purpose. 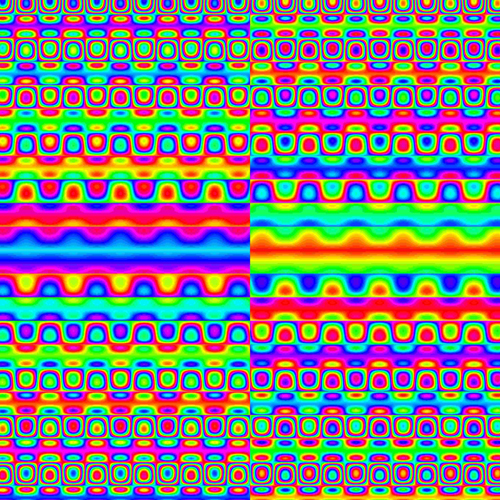 It's a visualisation of a function of a complex variable using a method called domain colouring. Image created by Maksim Zhuk. The method was developed by Frank Farris; you can find a description of it here. The image was produced by Maksim Zhuk using the Pygame library within Python.